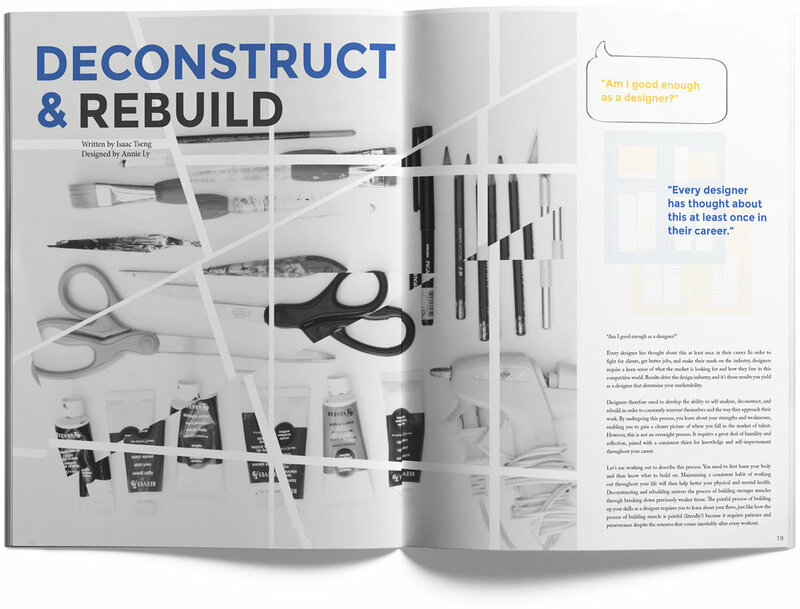 "Re:Build" is InPrint Magazine's second annual issue! (Check out our first issue here) Officially, my role in this project was to obtain funding and publicity for our magazine, so that we could print them and also sell well. However, behind the scenes, I did a little bit of everything (photography, interviewing, transcribing, editing, critiquing, brainstorming, etc) wherever I was needed. In the wake of several natural disasters and deep political tensions, “Re:Build” examines how we and our communities create resilience in the face of these hardships on an interpersonal and systemic level through design. Our theme also encompasses not only what designers create, but how both our creations and ourselves constantly evolve through ideation–we are always rebuilding. We’re constantly evolving through ideation - whether it be our work, our relationships, or ourselves. Thank you to our 2017-18 Board for bringing our vision of Re:Build to life! interested in Inprint? learn more about us here!